Based on the news, the future of physical retail looks grim. The last two years have been commonly referred to as a “retail apocalypse,” and experts are quick to declare that “retail is dead” at every chance on TV. And they’re not entirely wrong. Stores like J.C. Penney, Payless, and Macy’s that used to have a presence in every shopping center on every corner are now filing for bankruptcy or closing stores at an alarming rate. The 1,300 or so shopping malls in America are struggling to fill vacancies and bring in customers. However, while there are some valid, and surprising headlines, what these stories fail to recognize is that are a lot of success stories as well. In fact, it would seem that as long as customers truly crave an “experience” and human interaction, there is still very much a need for physical retail stores and malls. At Rising, we believe retail stores are vital to the success of our mixed use projects. However, the days of isolating uses (residential in one place, office in a park somewhere else, and one-off retail) are over. Here in Los Angeles, we first saw this shift with the reclamation of suburban main streets like Old Town Pasadena and Santa Monica’s Third Street Promenade, and with contained shopping experiences like the Ferry Building Marketplace in San Francisco. Now, the evolution has spread to major urban and downtown areas in cities like Chicago and San Francisco. Over the last 50 years, retail real estate has continuously evolved and adapted to the changing habits of the consumer. Neighborhood grocery-anchored centers were once regarded as a safe bet, but these days, foot traffic in grocery stores has declined because of disruption from online grocery services like AmazonFresh and Instacart. At one point, the suburban shopping mall was an integral part of life for millions of Americans – going to the mall was the only way to shop for new clothes and holiday gifts, and the social interaction was a by-product of the needs of a shopper. We believe that as human beings, there is need for that experience, for that interaction. Therefore, we believe the future of physical retail is promising; we just think it must continue its evolution. We can point to many Southern California retail projects that are thriving as developers provide an experience. 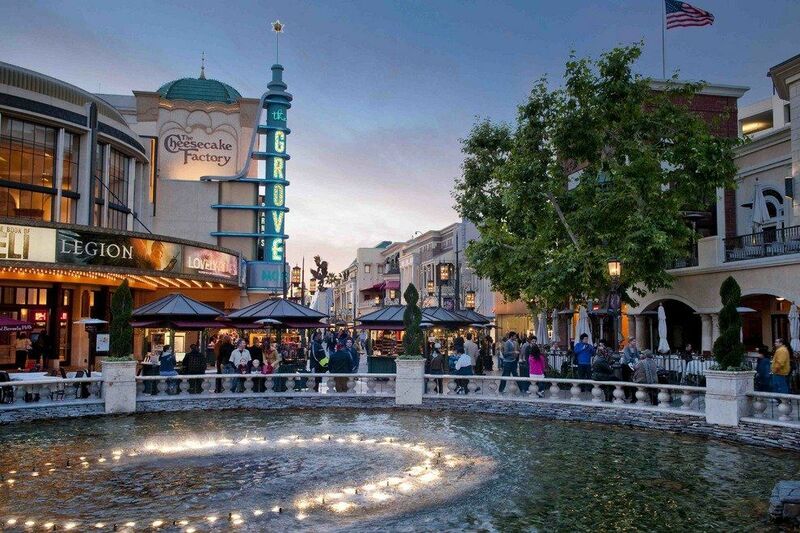 For instance, The Grove and The Americana – both of which are open-air, urban shopping experiences by developer Rick Caruso that include entertainment programming and concierge-services – have been huge successes. Here in Southern California, these “lifestyle centers” have forced competitors to take notice. Westfield has invested hundreds of millions of dollars in renovations to several of its properties with the goal of recreating that same open-air shopping experience, as did the owners of the Beverly Center. These developers have bucked the “retail apocalypse” trend because they continue to innovate and adapt and allow the retailers to be part of the experience. For one of the most telling signs of the value of physical retail, we look to Amazon. As one of the world’s largest online retailers, Amazon has long been perceived as the biggest threat to traditional retail. But its recent acquisition of Whole Foods and opening of eight brick and mortar bookstores across the country tells a different story. Amazon is expanding its reach into physical retail because there is money to be made. Conversely, Walmart is testing a different strategy; The big box store acquired jet.com, as well as menswear brand Bonobos. By boosting its online presence and continuing to operate more than 6,000 physical stores, its combined efforts will keep Walmart a retail giant on and offline. What Amazon and Walmart are demonstrating is that in order for retailers to succeed, they must offer a unique, hybrid customer experience that encompasses both digital and physical interactions. The future for retail will be bifurcated between shopping for needs (like detergent and milk) which I believe will be dominated by digital, and shopping for a human experience which I believe will be dominated by urban centers or mini “Disneyland” experiences like the Grove and Americana. The key to succeeding in retail will be an understanding of the modern day consumer and innovating the retail experience. We believe that physical retail is not dead, but rather – as with all things in real estate – mediocre projects will die off.